We listen to our clients in the complete sense and continually evolve to meet legislative changes and market demand while remaining aligned to the needs of our clients and agile enough to deliver exceptional service. We have invaluable experience in the broader commercial field having practised in the Information Technology, Medical and Insurance sectors. 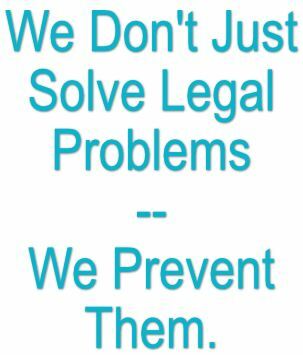 We integrate our legal solutions with our comprehensive understanding of human relationship dynamics to ensure holistic results. 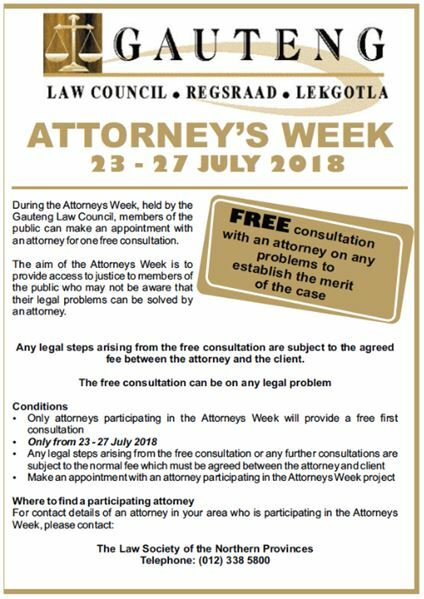 During the AttorneysWeek, held by the Gauteng Law Council, members of the public can make an appointment with an attorney for one free consultation. The aim of the Attorneys Week is to provide access to justice to members of the public who may not be aware that their legal problems can be solved by an attorney. Any legal steps arising from the free consultation are subject to the agreed fee between the attorney and the client.